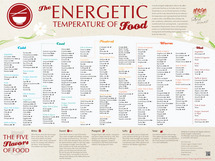 An easy, informative guide to the energetic temperatures of hundreds of foods according to Chinese medicine. 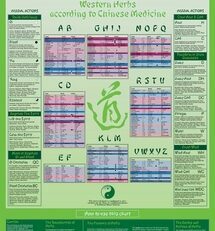 This chart can be an excellent guide when using food as medicine. 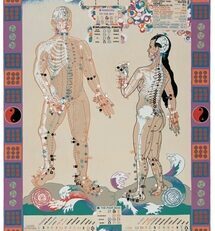 The chart covers the energetic temperature of hundreds of foods according to the Eight Principles of Chinese medicine. Cooling foods are used to clear heat patterns, warming foods are used to create warmth and strength, and neutral foods balance. 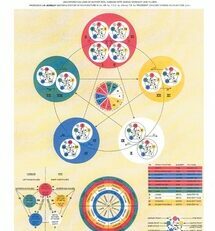 The chart also identifies each food by its flavor and healing properties according to the Five Flavor Principles -bitter, sweet, sour, pungent and salty.